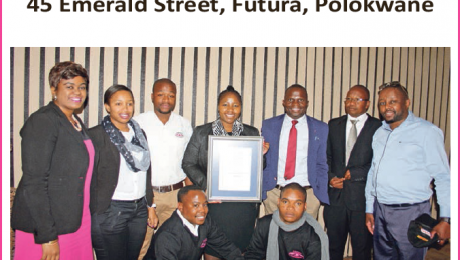 Polokwane Chemical Suppliers has been the proud recipient of the PMR.africa diamond arrow award since 2015 in the category of Suppliers of Hygiene Equipment and Products. This award would not have been possible without the amazing team behind the Phatsima Brand – well done. We would also like to extend our gratitude to our loyal clients and stakeholders for their continued support over the years. It was a joyous and informative day at Polokwane Chemical Suppliers (PCS) last Wednesday when businesspersons and government officials gathered to celebrate 20 years of productivity improvement by the Workplace Challenge Programme which is driven by the Department of Trade and Industry (dti) in partnership with Productivity South Africa. 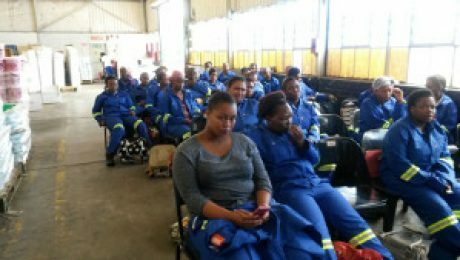 The host company, PCS is one of the beneficiaries of the programme and the company Fleet Supervisor, Edwin Manamela said aspects such as teamwork and leadership have improved since their participation in the programme. He further indicated that the programme assisted them to create more jobs and internship programmes. 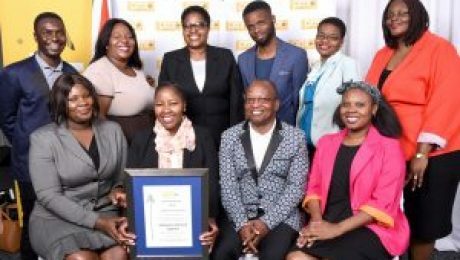 Polokwane Chemical Suppliers, a 100% black-owned manufacturer of cleaning detergents is proof that the Workplace Challenge Programme is working, and every company should consider enrolling. Polokwane Chemical Suppliers (PCS) has been attending the Rand Show for 3 years now and we are excited to be going back again this year. Rand Show serves as a great networking platform to establish new leads, understand market trends, the competition as well as other related opportunities. Rand Show is only the first of many more trade shows PCS will be attending this year as a means to promote and sell the Phatsima Brand beyond the borders of Limpopo. Polokwane Chemical Suppliers (PCS) Youth Expo. 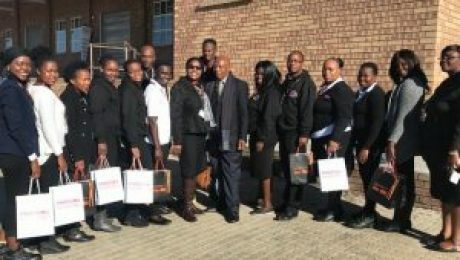 Education and solid foundations for young people to empower and grow themselves to financially independent, headstrong leaders of tomorrow are two elements every to the management of Polokwane Chemical Suppliers (PCS). We aim to live by our slogan, Helping to Build a Cleaner Brighter Future for All, and this is evident in the initiatives we partake in and schools we have supported over the years. 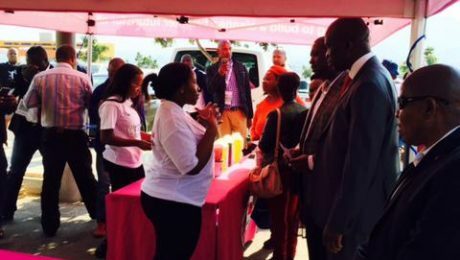 On the 12 June 2015, PCS partook in and was the main sponsor of the inauguration (along with Avoir Corporate Healthcare) of the Sekhukhune Youth Opportunities Expo (SYOE) 2015, the first of its kind in the province. Initiated by the Sekhukhune District Municipality, SYOE aims to bring together all youth empowerment initiatives, driven by government, private companies and individuals, in one platform for the youth to explore in order to alleviate levels of unemployment in the Sekhukhune region. PCS has designed an easy to follow, basis, step-by-step business guide to assist young people wishing to venture into small businesses of selling goods. The guide was intensely distributed during the inauguration and an electronic copy may also be downloaded directly from our website. Polokwane Chemical Suppliers (PCS) Competition Handover. 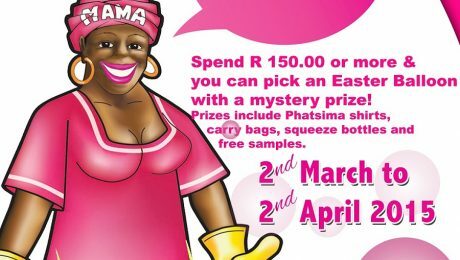 After 3 months and a total distribution of 10 000 entry forms, we are excited to announce the winners of our biggest competition, Mama Phatsima’s Win-a-Laptop Hamper Competition. Thank you to everyone who entered and a special thank you to our participating Reseller stores for hosting the competition. 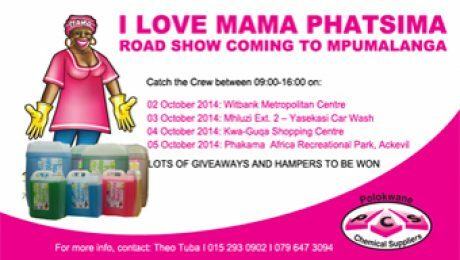 To enter, participants had to spend R300 or more on any Phatsima products and complete a valid entry form in selected stores. Entry forms were collected from all 50 participating stores around Limpopo, Mpumalanga and Gauteng and winners were selected through a random draw, with the assistance of our walk-in customers, which took place at the PCS factory. Handover of the prizes was conducted in Polokwane, Nizams Moruleng, Supa Save Burgersfort and M.Premjee Makhado. PCS is a manufacturer and supplier of domestic and industrial cleaning products. Established in 1993, PCS has gone from humble beginnings, when the manufacturing of chemical cleaning products commenced in a garage, to a fully operational manufacturing facility in the industrial area of Polokwane. Polokwane: Polokwane Chemical Suppliers (PCS), the home of Phatsima, announced today that that it has changed its 2L Fabric Softener packaging to better suit the needs of its growing market. 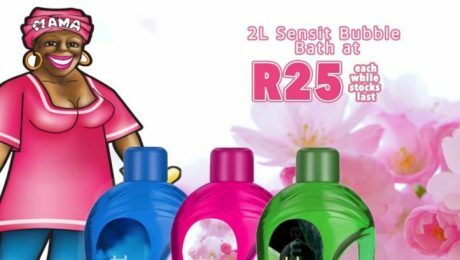 Now in an easy to use and carry packaging, Phatsima’s 2L Fabric Softeners don’t just smell great, they look better than ever. What’s more, the popular industrial cleaning detergent, Universal Cleaner has been improved and added with tough stain removing agent. PCS has come a long way since its inauguration and this just sets the tone for many more exciting developments to come. With its major expansion closely in the rear, PCS customers have plenty to look forward to with the continuous growth. Both 2L Fabric Softeners and the newly improved Universal Cleaner will be officially launched on 17 October 2014 at PCS.